From her earliest days, Jackie Kennedy studied, wrote about and sketched original clothing styles as a young woman. You might research her incredible essays on the topic that were part of her submission to Vogue magazine’s Prix de Paris contest, which she won in 1951. The prize was a chance to work for six months as a junior editor in Paris and then six months in New York. Her mother forced her to turn down the opportunity because it meant her daughter would be living near her hated former husband in New York, Jackie’s father. 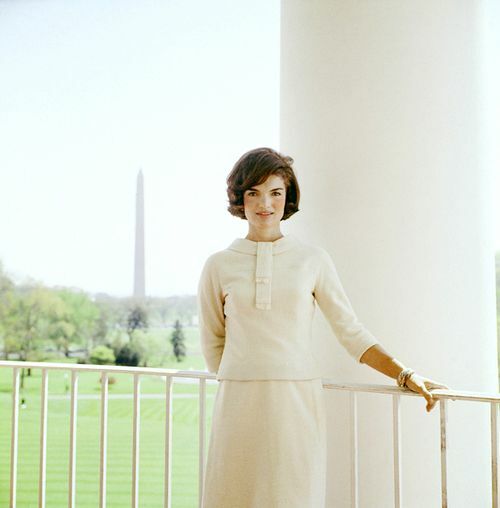 As a young reporter with very little money for clothes, Jackie continued to design her own clothes and had them made by a dressmaker in Washington. 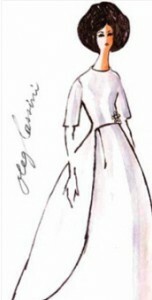 So her fashion during her years as First Lady – and then beyond until the end of her life – were by her own design, always working with designers with sketches that she provided them. 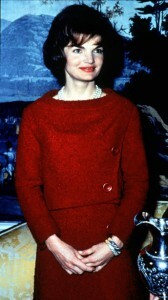 Jackie Kennedy had a highly trained eye for every detail of the visual, be it a room, a garden, an office or her clothes. She had studied and practiced photography as an art, and took an early professional interest in clothing design. From her study books in high school to her handwritten notes at the end of her life, she frequently sketched out the shape and lines of the clothes she wanted for herself, always working closely with designers. Even her casual appearance in sportswear, pants, bathing suits, and lounging robes was highly conscientious. 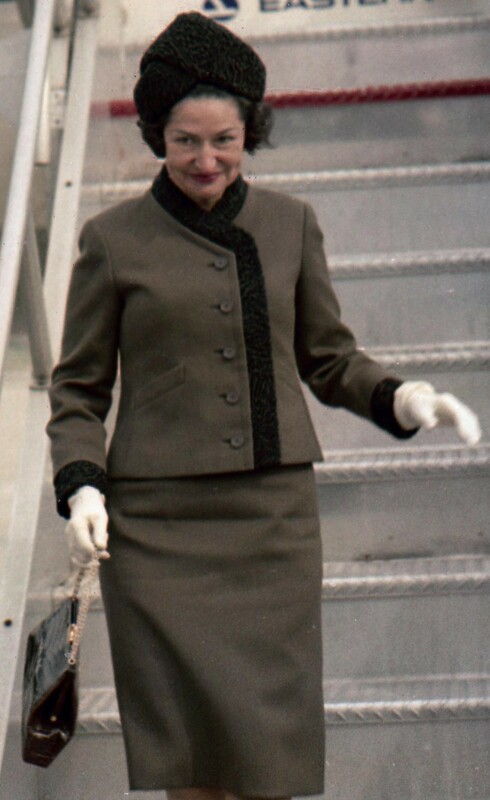 Before the popularity of color television, Jackie Kennedy was still conscious of making herself stand out on color TV so she wore a beige cloth coat for her husband’s swearing-in ceremony, in order to stand out from all the other VIP women who wore, as she predicted, fur coats. 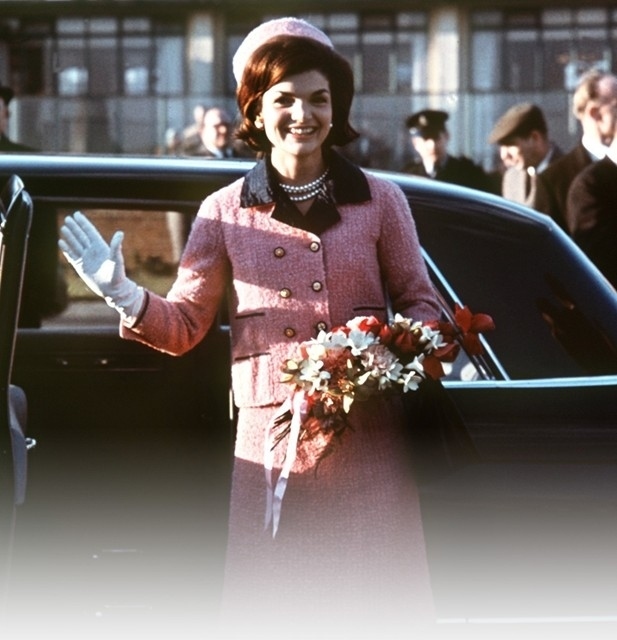 As far as iconic appearances, these are undoubtedly Jackie Kennedy’s red suit during her White House tour, and the pink suit worn during the assassination but also the black mourning dress and black veiled hat of the funeral. Initially more people around the world watched the funeral and thus saw her for a longer sustained period of time. 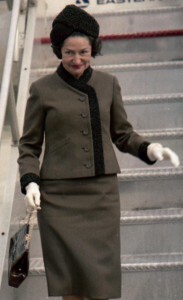 In some ways, the greater Jacqueline Kennedy raised public attention to what she wore at any given event, the more she was open to critical review. Wishing to avoid criticism for her taste for Parisian designs, Jackie Kennedy had her clothes made to copy Chanel suits but with modifications that were understated. 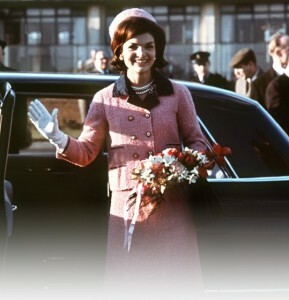 Mrs. Kennedy earned a permanent cultural identity by casting a distinctive look by which she could be visually identified. Lady Bird Johnson had a proclivity for what her husband derisively called “muley” colors of grays and browns. 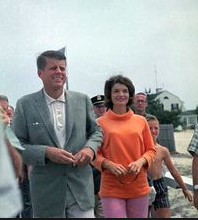 Once she began the full term to which her husband was elected in 1964, however, she brightened her appearance overnight – wearing a range of citrus colors of yellows, oranges and greens. She consistently wore more conservative styles despite the radical change in women’s clothing by the end of her tenure. 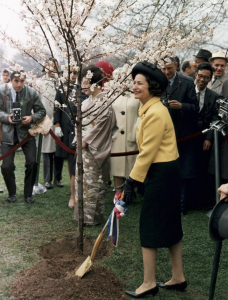 The measure against which Lady Bird Johnson was judged as having negligible influence on clothing style was the industry suggestion was that her garments were too plain and that she was unwilling to make an indelible impression with color, cut or any other innovation. 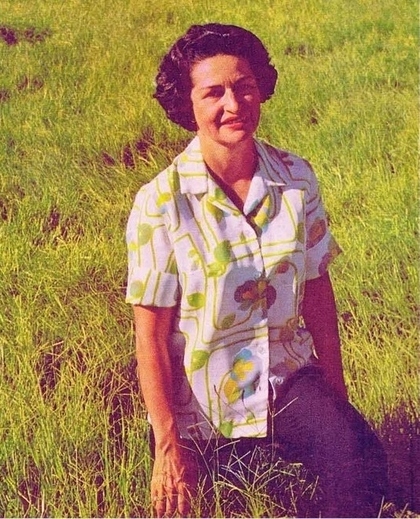 She may well be most remembered in the comfortable and casual style clothing, including pants, western boots and rancher hats, that she naturally wore while relaxing on the LBJ Ranch in Texas.